Using social media to market your business seems like a no-brainer. It’s free, easy to set up, and it seems like anyone can figure out how to use it. So why do businesses struggle to get followers and engagement on their Facebook, Twitter, Instagram, etc? A lot of them don’t have a strategy in place to get the most out of their platforms, and to stay on task. Below are a few reasons why I’m a firm believer that every business needs a social media strategy. Creating a social media strategy gives you time to think about what you want your social media presence say about your business. A social media strategy helps you decide on your tone of voice, graphic look, posting schedule, key words, hashtags, and much more. Then you know what your content should be, and it becomes easier to determine what to and what not to post. People will follow accounts they believe provide some kind of benefit including aesthetically pleasing, educational, helpful, inspirational or aspirational. When people who are new to your profile, they tend to peruse your recent posts to see if it’s something relevant to them. If your posts are all over the place, someone may hesitate to or all together forgo hitting the follow button. However, if you are constantly providing content they like, then they are more likely to follow you. Because of this, it is key to understand your target market and build a strategy around them. One key component to any great social media plan is a posting schedule for your content. You need to pick broad categories, and determine how frequently you will post each one. Maybe every Monday you post something motivational, Tuesdays you post a new blog post, Wednesdays you host a webinar or live video, Thursdays you share your sales, and so on. Luckily it is very easy to schedule social media posts, which also makes fitting social media posting into a busy schedule a little bit easier. You can schedule posts days, weeks, or months in advance. However, scheduling posts doesn’t mean you should avoid checking the pages you manage. You still need to include your audience in the conversation and promptly reply to any questions, comments or concerns raised on your pages. You need to engage with your audience on social media. This means that in your social media strategy, you should be outlining those who make up your target audience. These are the people who share the same values as your business. By defining and connecting with these people, you will have a more effortless and genuine connection with them. In the long run, these are the people you want following your business on social media. They will provide you will valuable feedback, be excited about the new things you offer, as well as be more willing to like, comment, and share you posts. Need help creating your social media strategy? Contact me today! 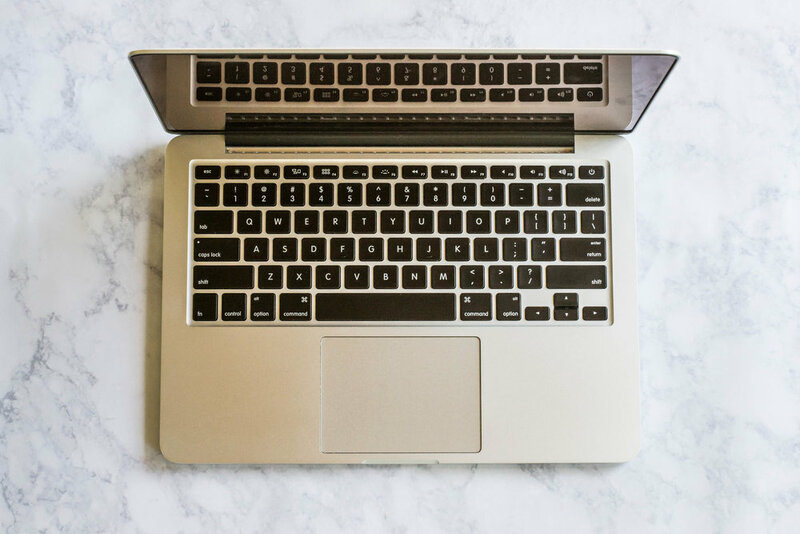 Starting a new blog can be a daunting task, especially when you think about how many blogs are out there. It has even been hard for me to continue or even start blogging again, but my love of it means I always return. Because of this, I've learned a lot over the years, and I wanted to share it with you. 1. Always remember that there is only one you! I think this is the thing that always gets me excited about blogging. On the flip side, forgetting this is what discourages me the most. Blogging is a way to share your story, whether it be through recipes, style tips, parenting advice, workout tips, or even literally telling about what's happening in your life. You shouldn't start a blog to be like someone else. It makes it too easy to give up because you don't have what they do. There will always be someone out there who has more money, better equipment, or more time to make their blog better than yours. It's easier to find inspiration when reading other blogs, if you always remember that there's only one person who can tell your story, your way. Pay attention to what blogs interest you. This also means bloggers you follow on social media, especially Pinterest and Instagram. Bloggers use these sites as a way to capture their audience's attention and get them to read their content. Maybe you follow a lot of fashion bloggers on Instagram, you might follow food bloggers on Pinterest, or you could read more posts by mom who share their parenting advice that you Google search. Knowing what content draws your attention, might help you narrow down your blog subjects. It's very hard to blog about something consistently that doesn't keep your attention. So, picking subjects that you enjoy reading about is extremely important. You also need to build your blog subject list, and find a way to bring them under one umbrella. Keep in mind that your interests might grow and change. So pay attention to that throughout your blogging career, and consider evolving your blog throughout the years. You can probably tell by the name of my blog that I went with option number two. I write about what interests me, and what's happening in my life. So, I was somewhat narcissistic and named my blog after myself. However, that name gives me the opportunity to write about my interest even when they evolve and my life changes. Now that you have a name, it's time to see if it's available as a domain. Honestly, you may need to come up with a few different names before you can find one with an available domain. If you are going to be a hobbiest blogger, I would recommend starting your blog with Wordpress.com. It's an awesome site and gives you a lot of options for free. With this site however, your free domain will end with .wordpress.com (for example thehayleyfiser.wordpress.com). However, if you are looking to make money off of your blog and monetize your site, there are two options I would recommend using. First is Squarespace, which is what I’m currnetly using for my blog. It’s super easy to set up and relativly inexpensive. It’s the perfect option for someone who doesn’t have experience with coding a website. They make it super easy to purcahse and host a domain through them with some of the pricing packages they offer. The second option is for someone who knows website coding and wants more control over the way the blog looks and functions. For those people, I would highly recommend using Bluehost (yes, that is an affiliate link :) ) to purchase your domain and host a Wordpress.org site (this is what I did for my website before I starting using it for my consulting business and it was just a blog). You can use their Domain Name Checker below to see if the name you want to use is available. If your domain is available, head on over to Bluehost and purchase your domain. They also make it super easy to install Wordpress.org, and they'll host your site. So once you buy your domain, you can immediately start your blog on a trusted blogging site. They make it super easy, and have professionals available via phone and chat if you have any questions or run into issues when setting your site up. I ran into a ton of issues migrating from a Wordpress.com to Wordpress.org site, and their chat representatives where extremely helpful. You officially have a blog! Now it's time to make it shine. There are a ton of different templates and themes to choose from for Squarespace and Wordpress, and they are super easy to put your own stamp on. I am currently using the Squarespace’s Bedford template. Back when I had my site on Wordpress, I paid for the theme Holly & Weave by pipdig and loved the way it looked and functioned. Have your blog set up? Read my “Beginner's Guide to Improving SEO” here!